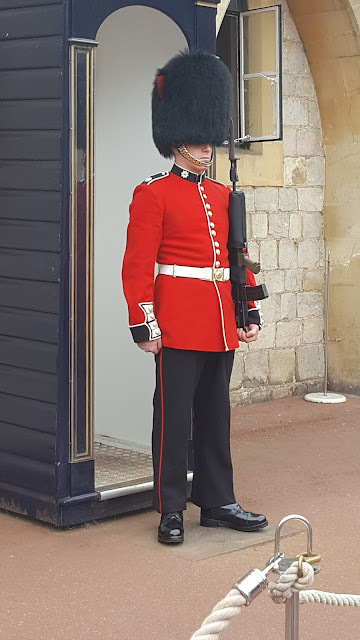 For our vacation this year,we were fortunate enough to schedule a trip to London, England which had been a dream trip for me for years. We were scheduled to fly out Saturday evening and arrive in London on Sunday. Unfortunately, Delta Airlines had other plans for us. A thunderstorm in Atlanta where we were to catch our connecting flight prevented us from taking off for over an hour. 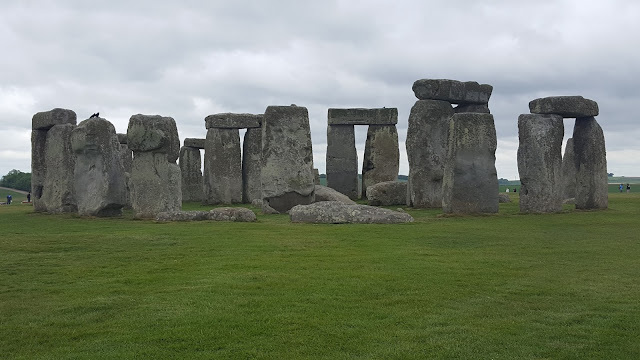 By the time we arrived in Atlanta, we had missed our connection and Delta failed to re-book us on the two subsequent flights that night. They left us in the Atlanta airport without hotel or meal vouchers and told us to "fend for ourselves". So we spent Saturday night and all day Sunday in the airport in Atlanta. We departed Atlanta 9PM Sunday night and began the 8 hour flight to London. the whole time change and flying across the country has some surprises accompanying it. For instance, somewhere around 1AM Eastern Standard while most everyone on the flight was trying to sleep, someone opened a window shade and the sun was up. Trying to sleep in an upright seat is a bit daunting despite the blinders they pass out and earphones or plugs. I slept on and off maybe 30-45 minutes at a time. We arrived at London's Heathrow Airport around 10:30 their time on Monday very tired and longing for a bed. 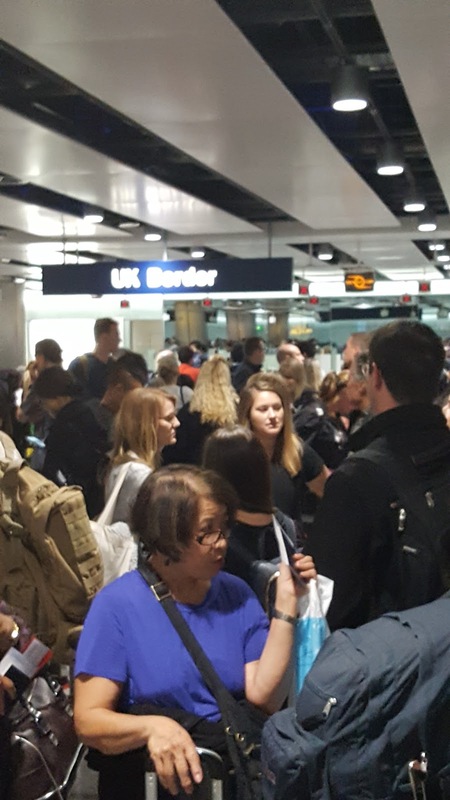 It took approximately an hour to get through Customs due to the massive amount of humanity in the queue lines. The process itself was painless and their Customs agents were very pleasant. We grabbed one of London's legendary black cabs and took off on a grand adventure to our hotel. We encountered stopped traffic on the M4 motorway which reminded me of the traffic in Atlanta. 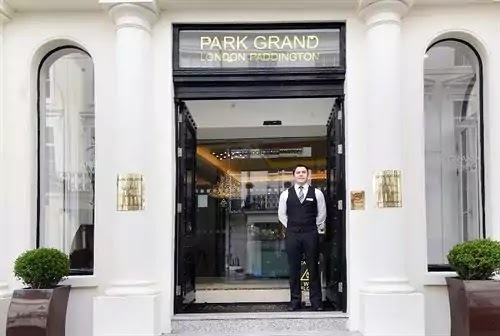 The cabby quickly began hurdling down side streets and through residential areas and one hour later, we pulled up to the front doors of the Park Grand London Paddington. We paid the cab, checked in and fell into the bed of our room and slept like the dead until around 4PM their time. We took showers in the ultra small water closet and made several interesting observations. Apparently they are really cheap on toilet paper purchases and opt for the single ply sand paper versions. Also, apparently it is not customary in England to provide wash clothes. I take some exception to this as there are some areas of my body I don't prefer washing with my hand, but that is just me. 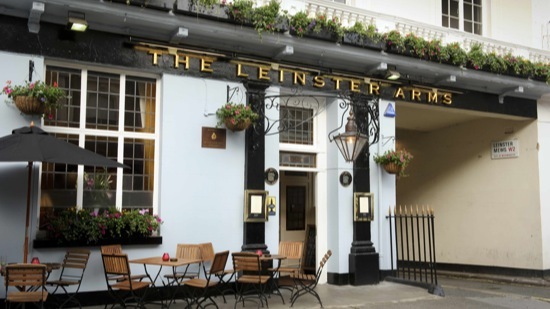 We ventured out around the area on foot and found a local pub - The Leinster Arms. I had a delicious and much anticipated Guinness and a mouthwatering Beef Pie. I am here to testify that any pot pies that you have ever been served in the United States is a sham - a horrible impostor to the Beef Pie that I was served. It was everything a Beef Pie should be. Swanson should be ashamed of what they turn out and call a Beef Pot Pie compared to the masterpiece I was served in that pub. Lesson learned for the day: Bring your own roll of Charmin toilet paper and your own washcloth when visiting England and Guinness Beef Pie is amazing. When we rose Tuesday to questions if we were alright and how far we were from Manchester. We quickly took a look at the news and discovered that while we had been sleeping there had been a terrorist attack at a concert in Manchester. Fortunately for us, we were 4 hours away from Manchester. We had scheduled a tour for the day with Golden Tours to see Windsor Castle, Stonehenge, and Oxford. After breakfast, we grabbed a cab and headed to meet our tour bus. The driver did not get the address straight and first tried to drop us off at Buckingham Palace. We repeated the address to him, and he took off again. About two blocks from the address for the tour company, we encountered heavy traffic, and he elected to drop us off to fend for ourselves. When we finally found our destination, it was barricaded off with crime scene tape and police vehicles. 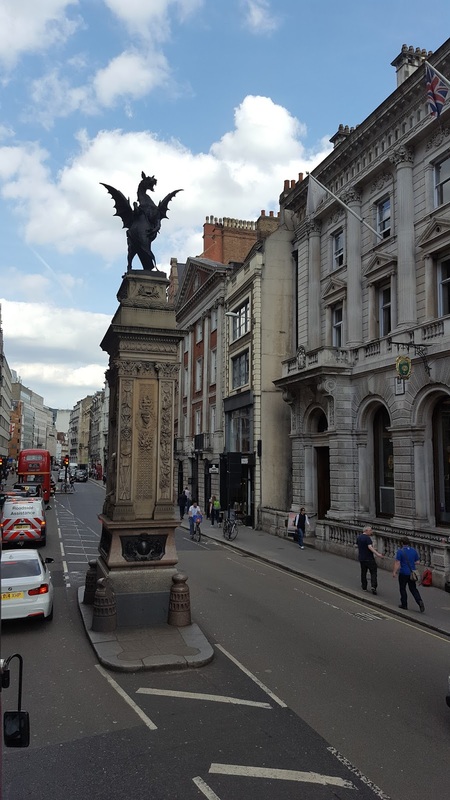 We inquired and learned that someone had discovered an abandoned backpack and with the heightened alerts due to the events at Manchester, police had sealed off the building. We finally found an impromptu meeting area that had been arranged by the tour company and were led a few blocks away to our tour bus. Our first stop of the tour was Windsor Castle sitting some 25 miles or so outside of the city of London. 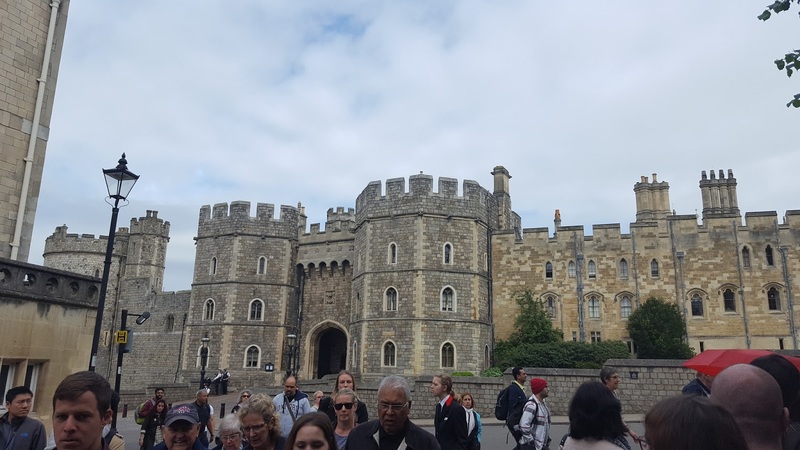 Windsor Castle was constructed in 11th century after the Norman invasion of England by William the Conqueror who built a ring of castles around London situated roughly 25 miles apart. Beginning with the reign of Henry I, Windsor Castle has been used as a residence for the Royal family. Henry III constructed the palace inside the castle and Edward III had even more construction completed. Queen Elizabeth II elected to utilize the castle her weekend retreat. She commissioned having the State Apartments renovated and modernized. The Queen, Prince Phillip, and their two children subsequently took up residence in the State Apartments after renovations were completed. 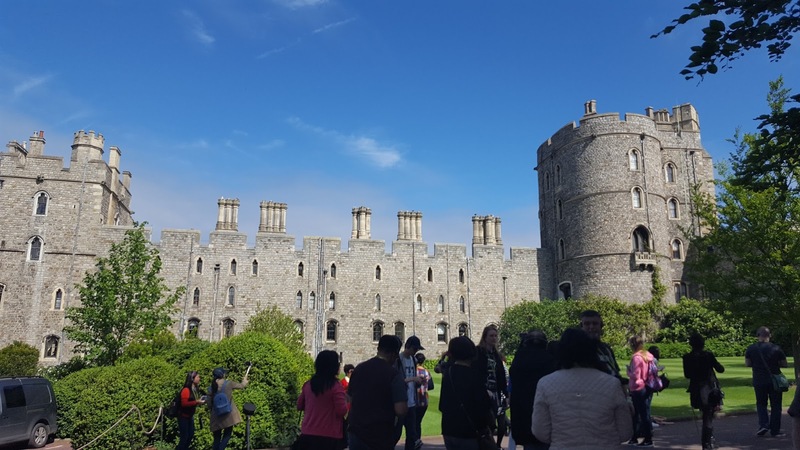 Around 500 people live and work in the castle making it the largest inhabited castle in the world and the longest-occupied palace in Europe. As you may remember, Windsor castle was heavily damaged in a fire on November 20, 1992. The fire raged for 15 hours and took 200 firefighters to suppress the flames. 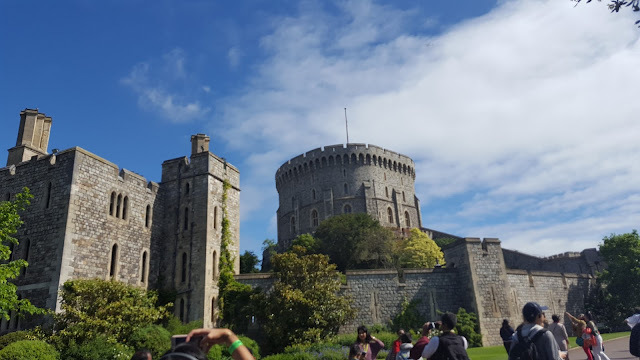 A political debate broke out over who should pay to repair the castle with the press arguing heavily that the Queen should pay for it from her private income. The Queen resolved the issue by opening Buckingham Palace to the public and introducing fees for the use of public lands surrounding Windsor. Repairs were completed in 1997 costing 37 million pounds. 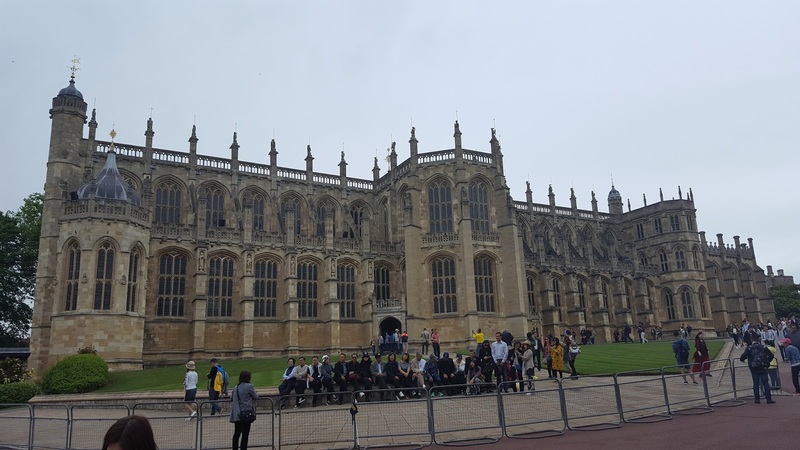 Within Windsor Castle is St George's Chapel. Henry VIII's tomb is within St George's Chapel. 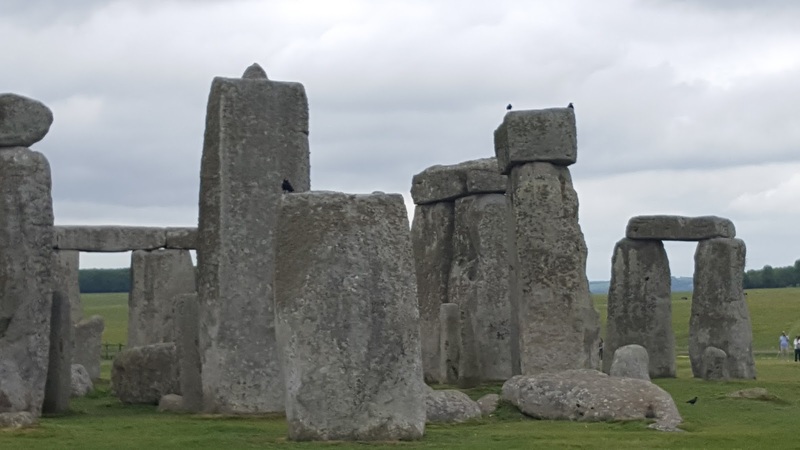 Our second stop of the tour was Stonehenge. Believed to have been constructed from 3000 BC to 2000 BC each standing stone is around 13 ft high, 7 ft wide and weighs approximately 25 tons. 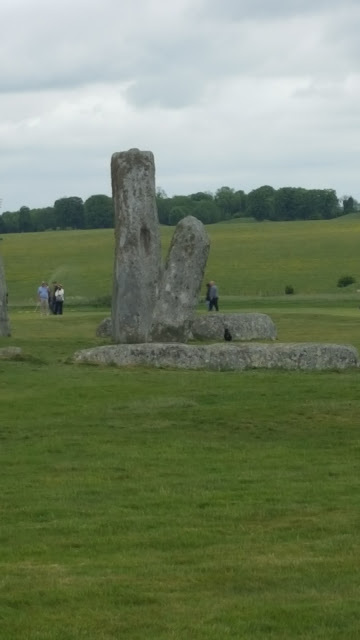 Many theories surround Stonehenge including claims by the History Channel that they are works of aliens. The countryside surrounding it is covered in burial mounds and two miles away, another monument was discovered in 1926 dubbed Woodhenge which is timber circle. In 1966, another timber circle of comparable size was discovered. 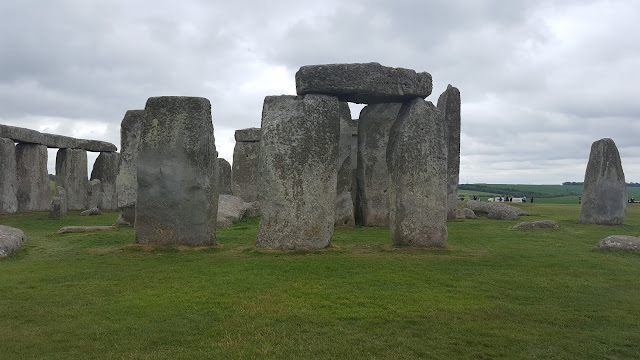 Dubbed the Southern Circle, it lies inside of what came to be known as the Durrington Walls henge enclosure, located 230 ft north of Woodhenge. 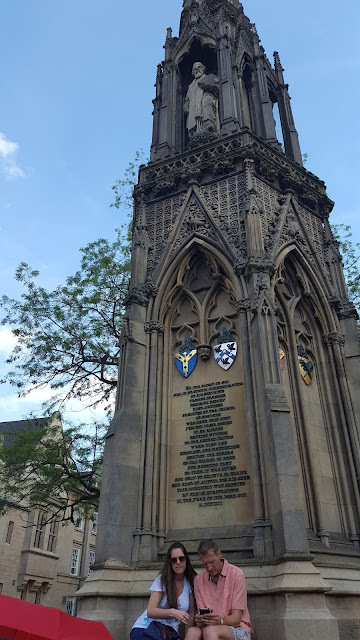 Our final stop on the tour was the city of Oxford situated 52 miles south of London. 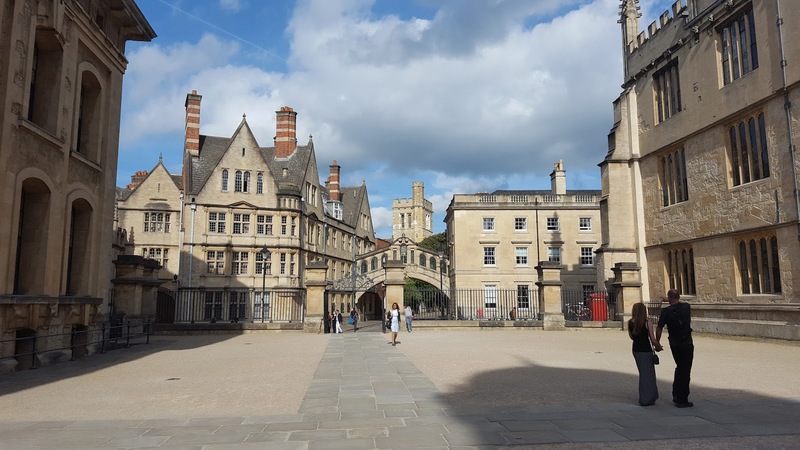 Oxford is the home to University of Oxford which is the oldest university in the English-speaking world made up of some 38 colleges and six private halls. 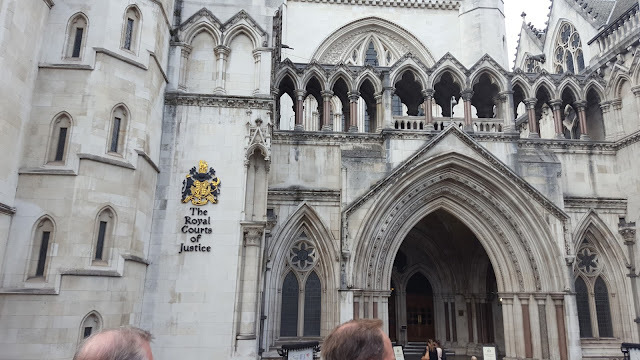 According to our guide, The university maintains the largest university library system in the United Kingdom housing 11 million volumes on over 120 miles of shelving. However, I was unable to confirm if Shaken Awake was on their shelves. Oxford University Press publishes more than 6,000 new books a year making it the largest university press in the world. Those who have studied at Oxford read like a Who's Who of the World while 58 Nobel prize-winners have studied or taught at Oxford. T. E. Lawrence, Sir Walter Raleigh, Oscar Wilde, J.R.R. Tolkien, T. S. Eliot, John Wesley, John Wycliffe, Edwin Hubble, Stephen Hawking, Hugh Grant, Dudley Moore, and the infamous Bill Clinton are just a few notable names that have studied at Oxford. We returned to London after the day's events and had dinner at the hotel before heading in for the evening. Lesson learned for the day: Ploughman sandwiches aren't very tasty, bring your own bologna or snacks. Having not slept well on the plane and struggling to adjust to the time difference coupled with the necessity for an early alarm to make the day's tour, we elected not to set am alarm before we went to bed thinking we would wake around 8:30 or 9 AM. Much to our surprise we did in fact wake the next morning at 8:30 AM, but U.S. time not London time. It was 1:30 PM their time when we awoke. Surprisingly breakfast was no longer being served at the hotel. 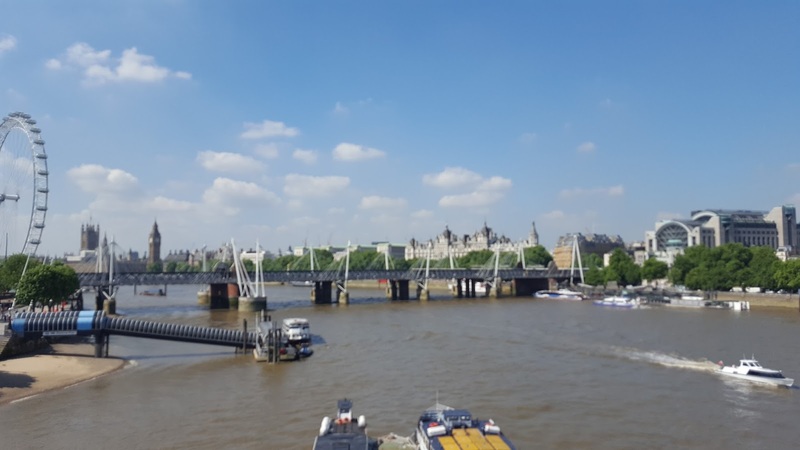 We opted to purchase a two day pass on the Big Bus Tours which provide access to all of the sites of London and hop on hop off service allowing us to decide what we wanted to do. As we had a late start, we elected to sit on the upper level of the open air bus and take in the sites and snap pictures. We thoroughly enjoyed seeing the city from this vantage and planned out the next day's adventures. Once we returned to our original stop, we found a Steakhouse close by where the bus dropped us off. I was surprised to find the steak rather bland as it had been cooked without any seasoning what so ever, but it was tender and juicy. The following day, we awoke early enough for breakfast and again hopped on the Big Bus Tour. We got off at the Tower Bridge. We took the tour which took us up 5 floors to the walkway high above the bridge with glass floors allowing you to see the cars crossing the bridge and boats crossing beneath them, and at the same time providing a gorgeous view of the skyline of the city. We were given a history of the bridge and saw videos on the construction of the bridge built between 1886 and 1894. 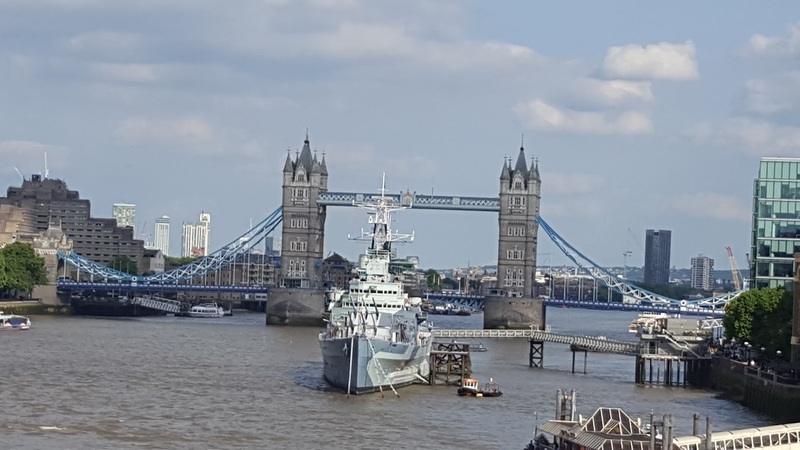 Many people think that Tower Bridge is called London Bridge, when in fact they are two different crossings, my sister being one of them. 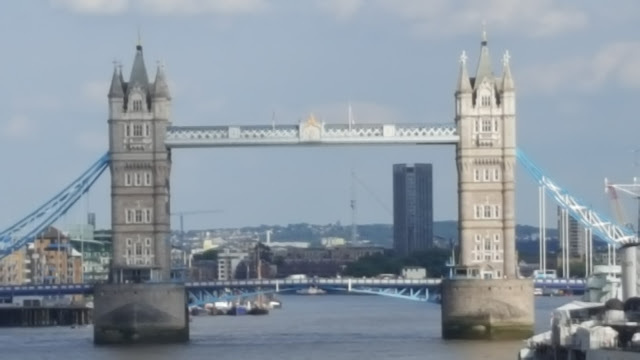 You can see the London Bridge from the Tower Bridge, but it is less impressive to see. I include it here for my sister's sake. For Jennifer, the London Bridge. You're welcome. 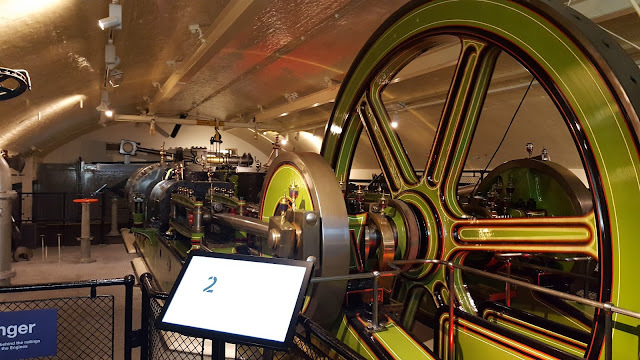 The tour also provided a look at the old steam engines that originally powered the draw bridge before it was converted to electricity. After a quick lunch in a pub underneath Tower Bridge which served Cheeseburgers that were part beef and part soybean, we then made our way to the Tower of London where the Crown Jewels are kept. 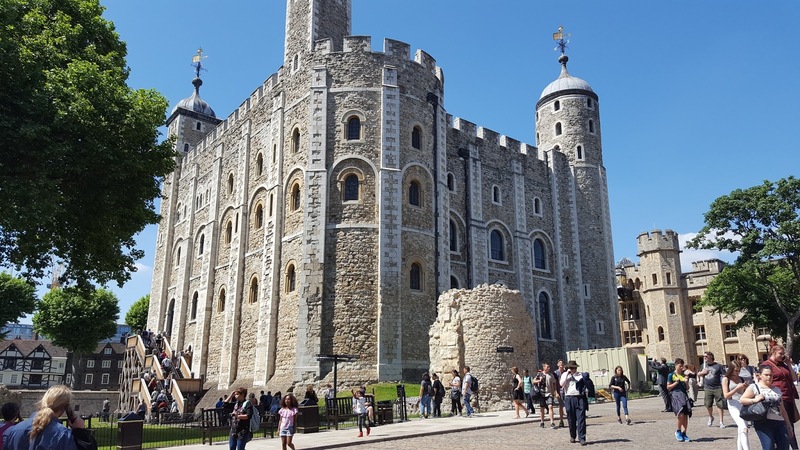 Officially known as Her Majesty's Royal Palace and Fortress of the Tower of London, the first tower, the White Tower, was built by William the Conqueror in 1078. It was used as a prison from 1100 until 1952 while also serving as a royal residence. 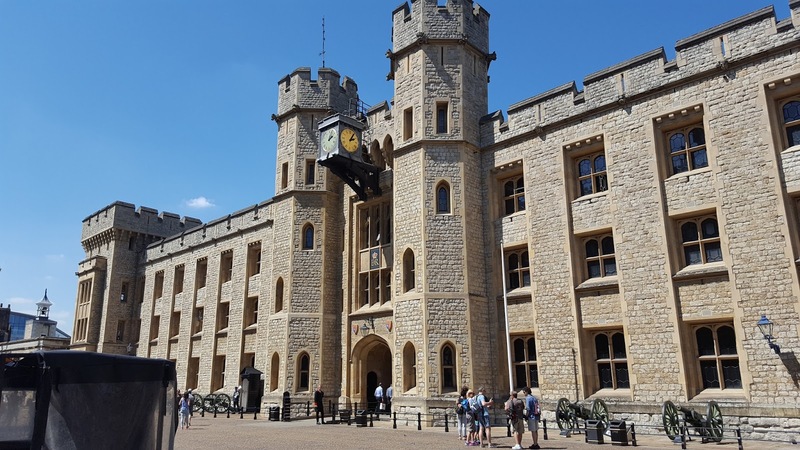 Over the years, it has housed the Royal Mint and a public record office, and still serves as the home of the Crown Jewels of England. 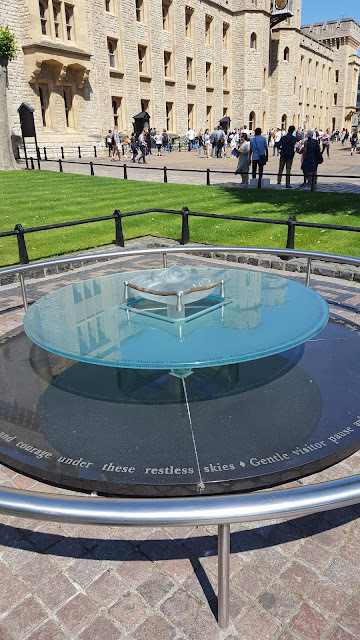 Anne Boleyn second wife of Henry VII was beheaded on Tower Hill in 1536 for treason as was Lady Jane Grey in 1554. Queen Catherine Howard, fifth wife of Henry VIII also beheaded on Tower Hill. 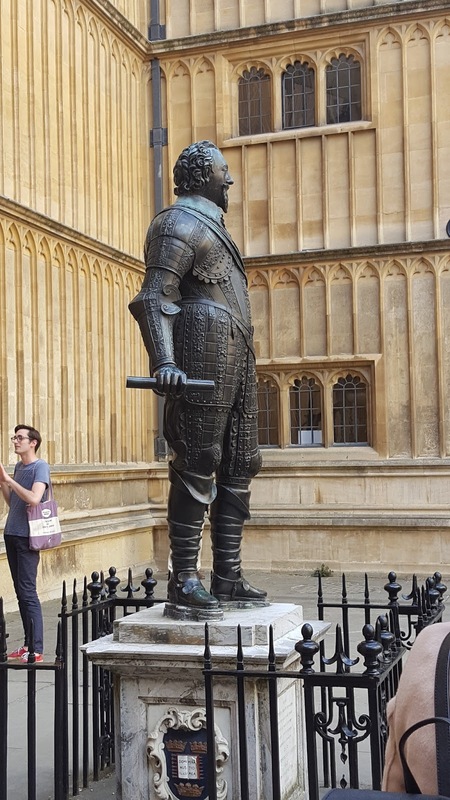 Others included William Hastings, Margaret, Countess of Salisbury, Jane Boleyn, Viscountess Rochford (by order of Henry VIII), and Robert Devereux, 2nd Earl of Essex. Farquhar Shaw and brothers Samuel Macpherson and Malcolm Macpherson were soldiers in the Black Watch Regiment from the Scottish Highlands. They were charged with mutiny and executed at the Tower by a firing squad. This monument marks the area where it is believed these executions took place. 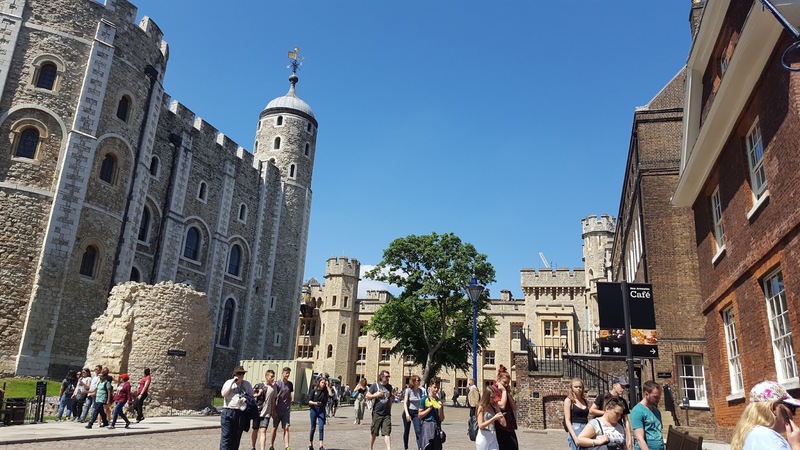 The Jewel House houses the Crown Jewels - the royal regalia, including jewels, plate, and symbols of royalty such as the crown, sceptre, and sword. 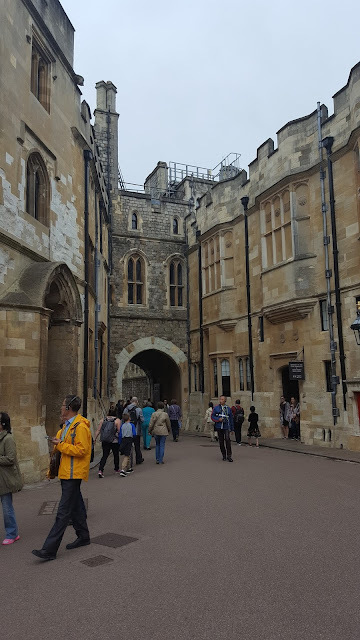 Sorry, I have no pictures of the Crown Jewels as they prohibit photography inside the Jewel House. We completed our day by returning to the The Leinster Arms where we enjoyed another tasty dinner accompanied by a pint of Guinness. 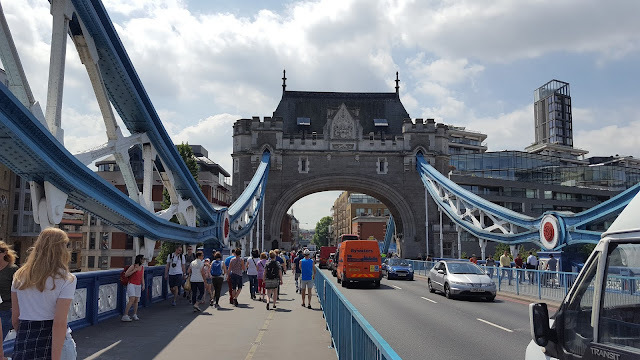 Lesson learned for the day: The Tower Bridge is not the London Bridge and it is unhealthy to be married to Henry VIII. Fortunately, our flight home was uneventful compare to the trip over and we have been working at catching up on our sleep. The weather is a huge surprise so pack for anything. The week before we left, it was high 50F low 40F. We packed long sleeve shirts, blue jeans, and rain coats. The entire time were were there it was high 86F and low 77F. Pack snacks. We did and were glad we did. They utilize 220 volt household outlets versus U.S. 110 volt outlets. You will need a converter to charge smartphones and tablets without issue as they are all designed with dual voltage chargers. However you cannot use your curling iron, blow dryer or electric razor, so don't even pack them. 220 will smoke them in short order. I highly recommend not renting a car and either utilizing cabs or the Tube (their subway) as the traffic is the equivalent of Atlanta or lower Manhattan with smaller roadways. Forget it. It's nuts and the bicycles and motorcycles lane splitting and ducking mirrors make for a huge liability for your auto insurance policy. Take a tour outside of the city. We did and loved it. Get a pass for one of the hop on hop off bus tours in the city. 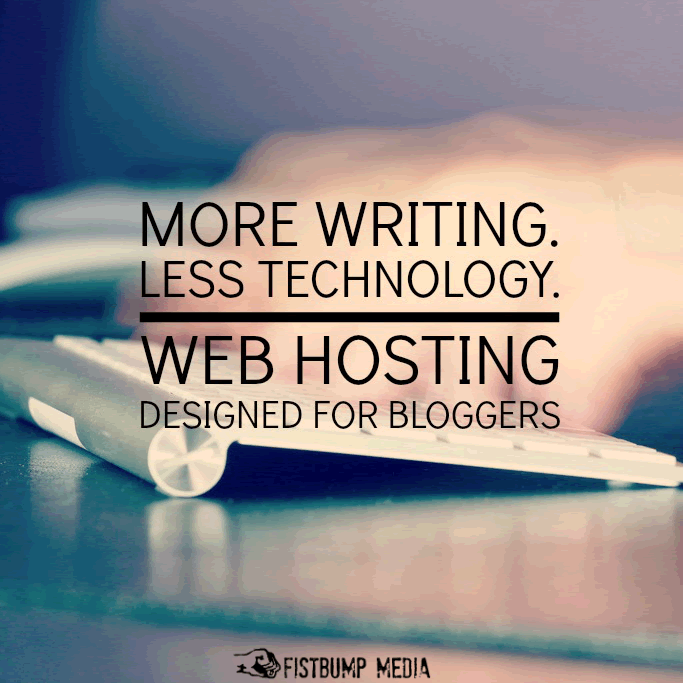 It's easy, convenient, and allows you to get off and investigate as much as you want. OK, I know I am late to the dance on this one as it was published in 2011, but I just read it this week. The year is 2044, and the world is deep into a huge energy crisis. Huge amounts of the population have abandon their homes in the suburbs and rural country side do to the lack of energy and have swarmed to the cities. The resulting scramble for housing has caused some creative solutions. Mobile home trailer parks have been converted to "stacks" - trailers on scaffolding five and 8 stories high. A virtual world has been created called OASIS, where people escape the miserable conditions of the modern society. The virtual society relies on virtual reality goggles, gloves, and chairs. When the creator of OASIS dies, he leaves a message to everyone with an OASIS account that he has created an Easter Egg within OASIS. The first one to find the Easter Egg wins inherit his estate - a huge fortune and OASIS. The story focuses on Wade Watts an aimless teenager living with his aunt in the stacks. When he is not in virtual high school in OASIS, he is an egg hunter. The closer he gets to finding the egg, the more the multinational corporation that provides Internet services sets their targets on the teenager, and they will stop at nothing to bet him to the egg so they can capitalize on ownership of OASIS. Halfway through the book, I had a hard time convincing myself to set it down and go to bed. It is an excellent read with a well crafted story line and well developed characters. If you grew up in the 1980s, you will recognize all of the video games mentioned. 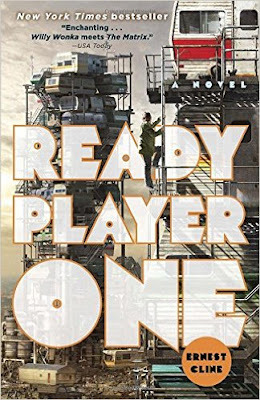 I enjoyed every page and highly recommend it. 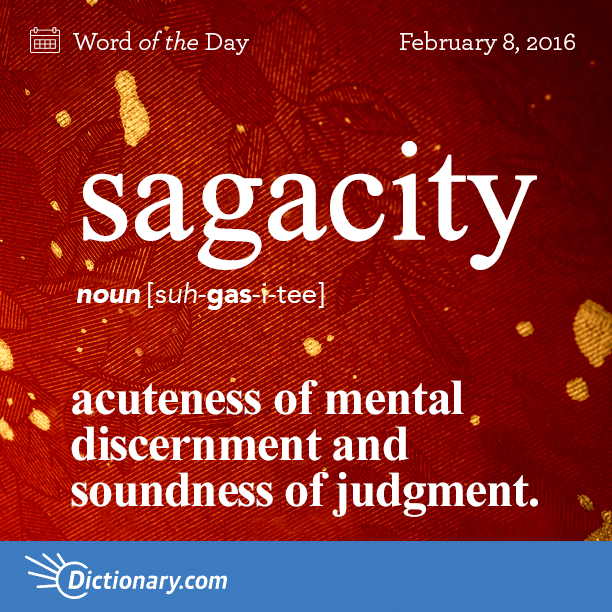 18 year old Scott Rigsby had completed another days worth of working mowing lawns and was riding on the toolbox on the back of a pickup when the trailer they were pulling was struck by a tractor-trailer attempting to pass them on a narrow bridge. Scott was thrown from the truck, wedged under the trailer, and drug down the asphalt for over 300 feet. His right leg was amputated at the hospital. After several years of battling infections, his left leg was amputated as well. Scott spent several years wandering aimlessly struggling to keep a day job and to find his way in life. 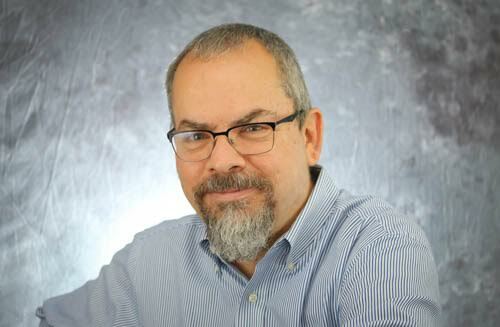 He struggled with alcohol and depression along the way. 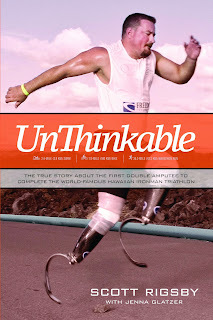 Despite it all, in 2007, some nine years later, he became the first double amputee to complete an Ironman competition - a 140.6 mile course combining swimming, biking, and running. He completed the course in 16 hours, 42 minutes, and 46 seconds. Scott now devotes his time inspiring physically challenged individuals and students to overcome the obstacles and challenges to pursue their dreams to do something amazing. Once I started this book, I could not lay it down until I had finished it. I highly recommend it to everyone at any age. In case you were wondering, I have not fallen off the face of the earth or fell asleep at the switch. 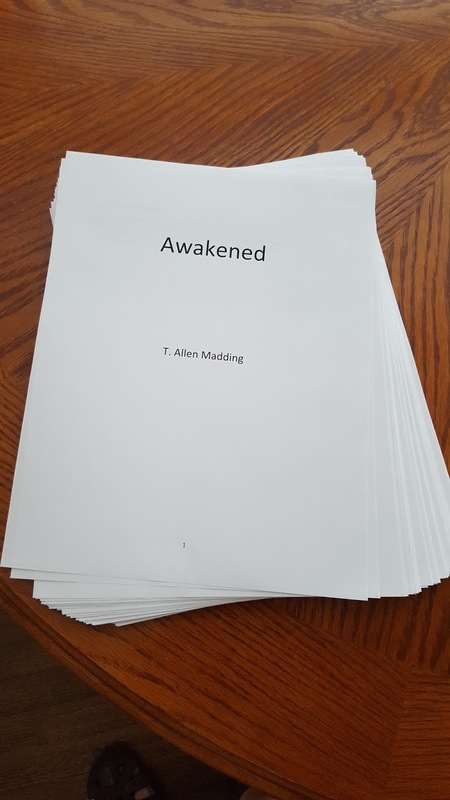 I have been writing, and I am happy to announce that I have completed the manuscript for the sequel to Shaken Awake which is entitled Awakened. The editing process is now under way, and I am shooting for publication early this Fall. All of your favorite characters have returned. For those of you who said Shaken Awake ended too soon - your voice was heard, and your concerns have been addressed. You will be able to see into the lives of everyone that was impacted by the storm in the original book. I think and I pray that you will enjoy this book, and it will spawn many honest conversations and give folks a great deal to consider.